After dire weather predictions, the day turned out to be quite good for footy albeit that the centre of the ground had turned to mud. 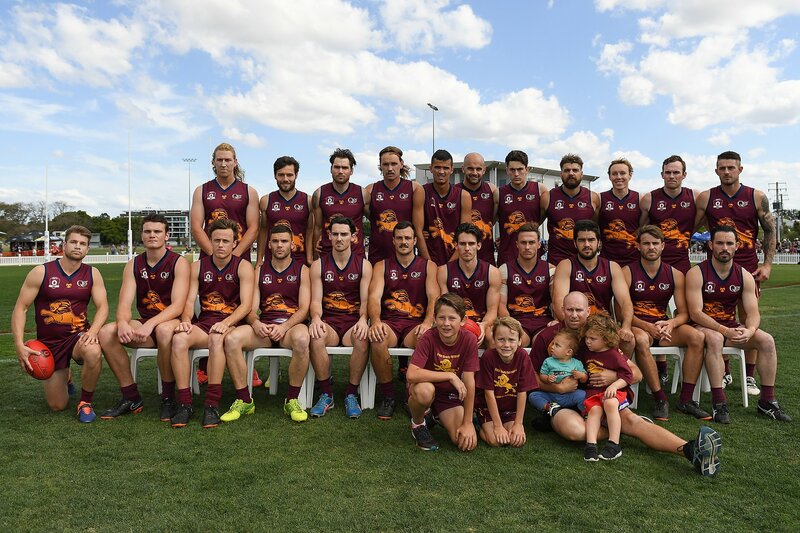 Unfortunately, due to the weather predictions the club did postpone the planned Family Day, but the PBC Lion did make a brief appearance and a group of Under 9’s had a great little game at half-time of the Senior match. 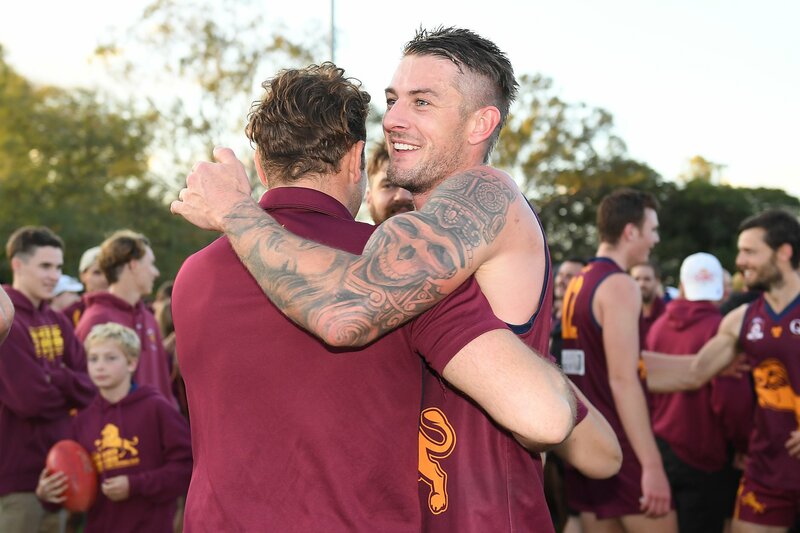 Sandgate has proved a tough opponent for PBC over the years and Coach Chad Owens admitted to being a little nervous the morning of the game. This nervousness was not helped by the fact that a couple of the Lion’s best players over the first month of the season were unavailable. 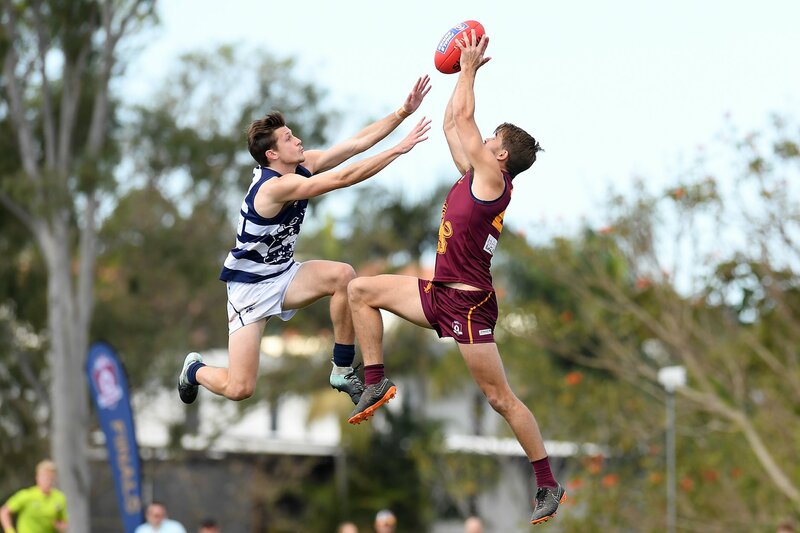 There were 5 changes to the side with Jake Dignan (Rested) and Josh Woolley (unavailable) out of the side along with Mitchell Johnston and Thomas Thynne (both selected in the Southport NEAFL team). Youngster Patrick Connelly was omitted. The players coming into the team were Blake Schneider, Brad McDonald and Taylor Hombsch. Former Southport Captain Ben Headland would make his first appearance as as a Lion and Harrison Hulls would make his Senior Debut after some good from in the reserves. 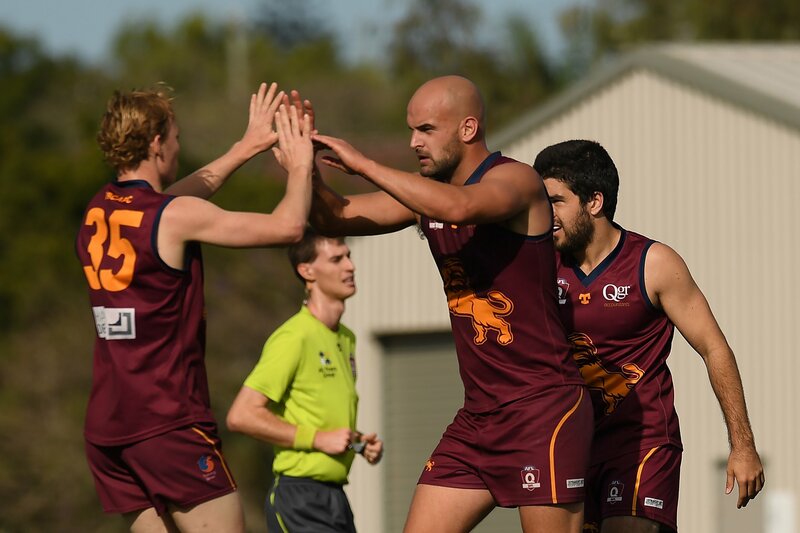 It was a slow start for the Lions as the Hawks kicked the first 2 goals of the game but the Lions fought back to take a slender lead into the first break. 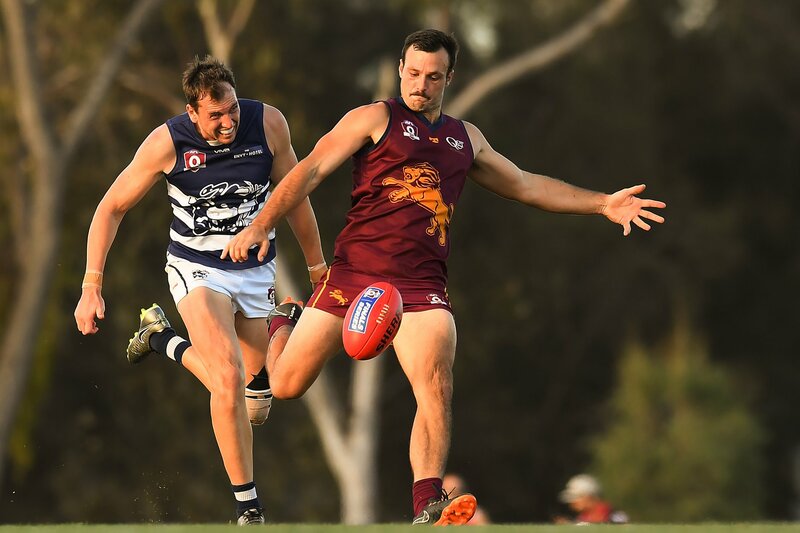 The second quarter saw the Lions trying to break open the game but the Hawks, despite looking out gunned, were hanging tough. 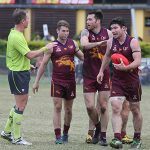 The margin at half time was 22 points in favour of the home team. 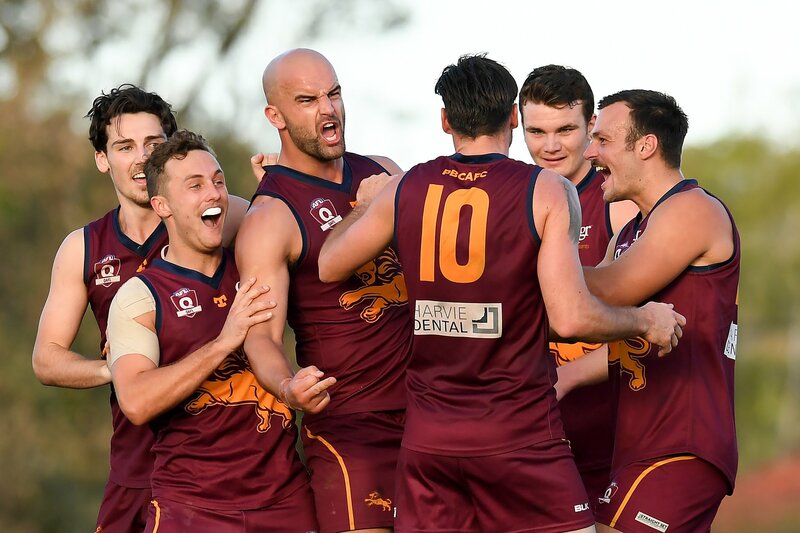 The third quarter, as it has over past weeks, proved to be the Lions best quarter, piling on the scoreboard pressure and opening up a match winning lead of 60 points at the last break. 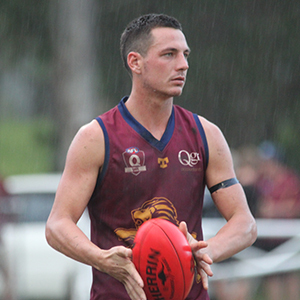 Sky’s were looking gloomy as the last quarter started and rain threatened as the teams went blow for blow in the last. 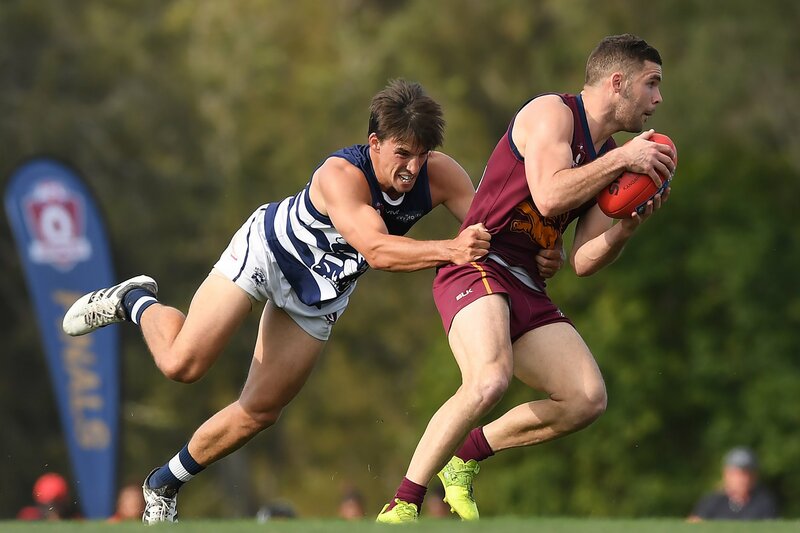 But the damage had been done and the Lions held on for a comfortable 61 point win. 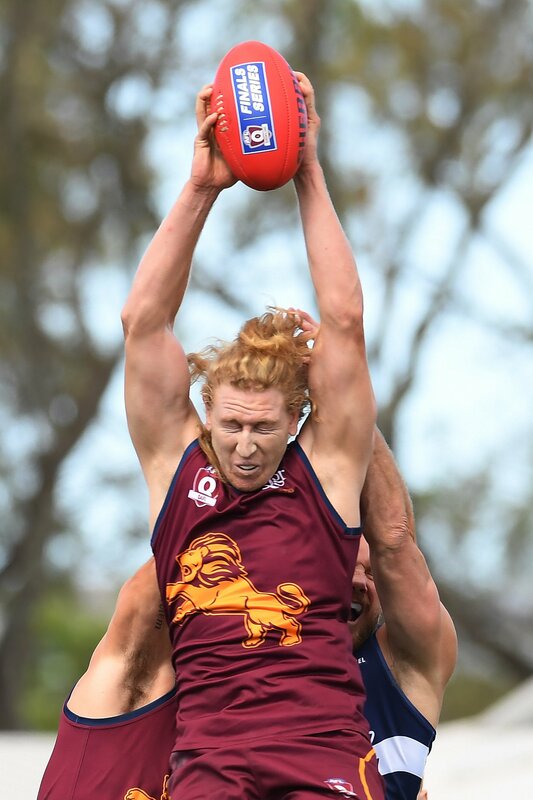 Jarryd Douglas was prominent with 7 goals for Lions. 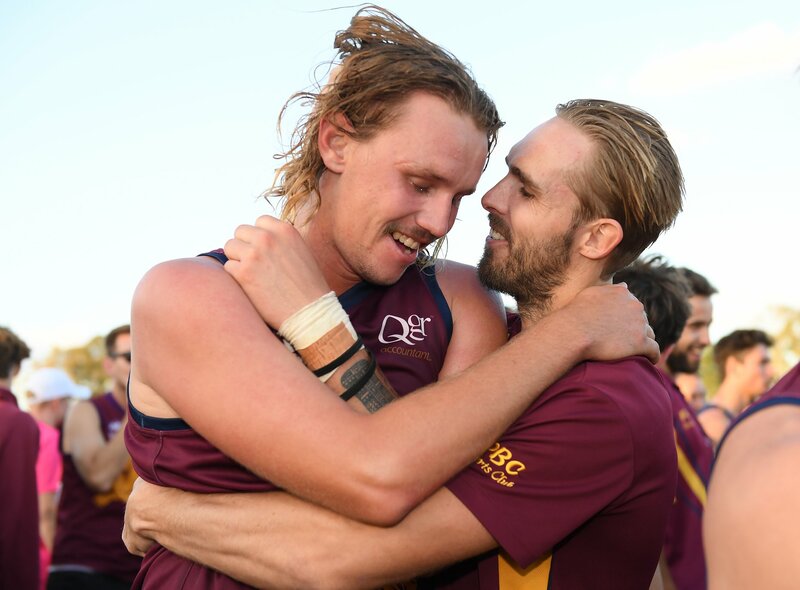 Captain Jesse Derrick was fantastic and Jason Burge was again a standout in the dominant PBC midfield with Tyler Cornish, Zac Harrison and Simon Callahan. Jed Harrison and Antony Sercombe were also amongst the best players. 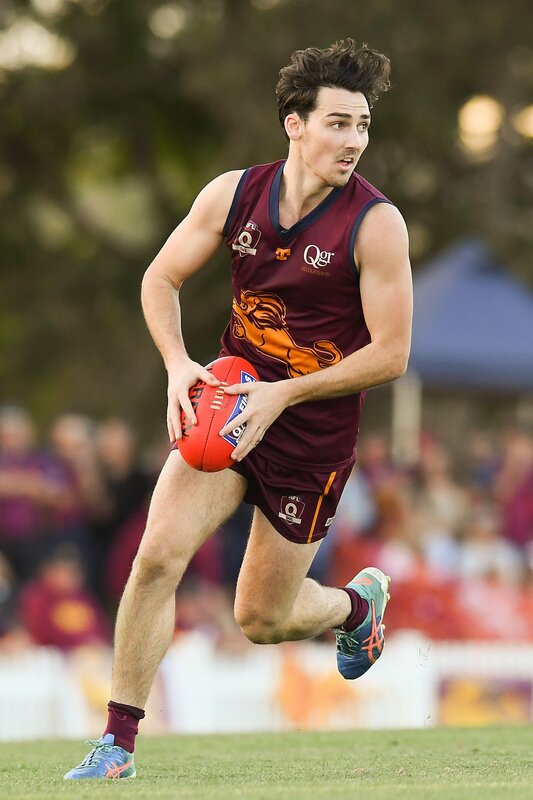 Ben Headland made a promising start for the Lions and had the luxury of sitting out the last quarter as he gets back to full match fitness. Harrison Hulls also impressed on debut. 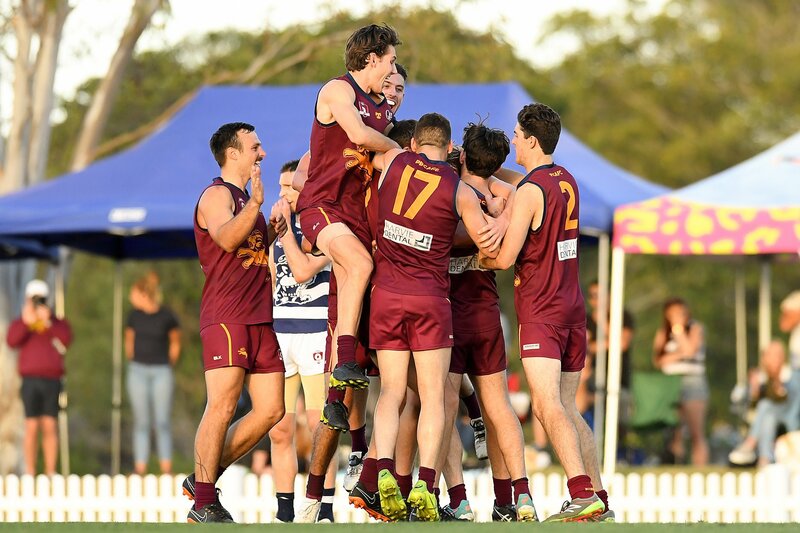 It’s worth noting that PBC have blooded 4 young players already this season continuing their strong commitment to youth development and local talent. 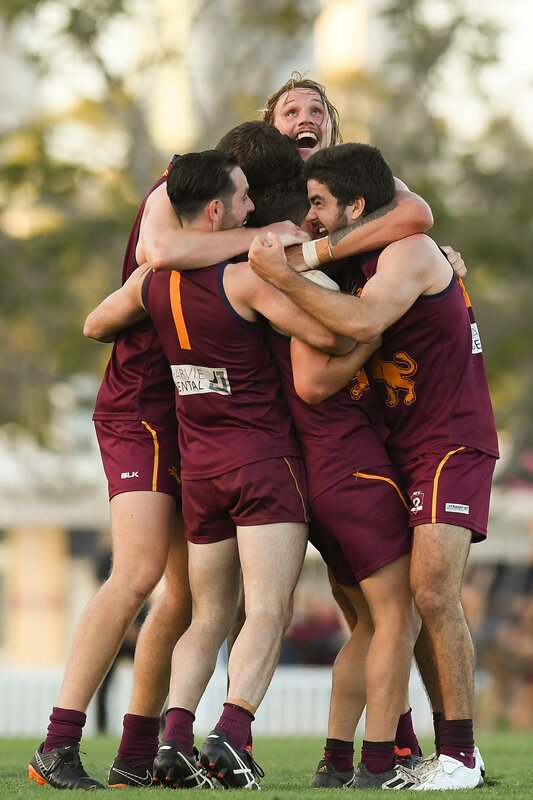 In other games, the Reserves had a huge 154 point win, whilst the Colts went down by 17 points. Round 6 sees PBC heading up the M1 to Wilston Grange. It would be great to see as many supporters there as possible. Saturday was a game that was always going to be a tight and contested game. That is Sandgate’s strength but we were able to match them in that area and take away their strength. At half time the game was still close but as we thought we could we were able to break the game open with our hard running and skill execution. When we got the ball in space they were unable to go with us and we slammed the goals on as a result. 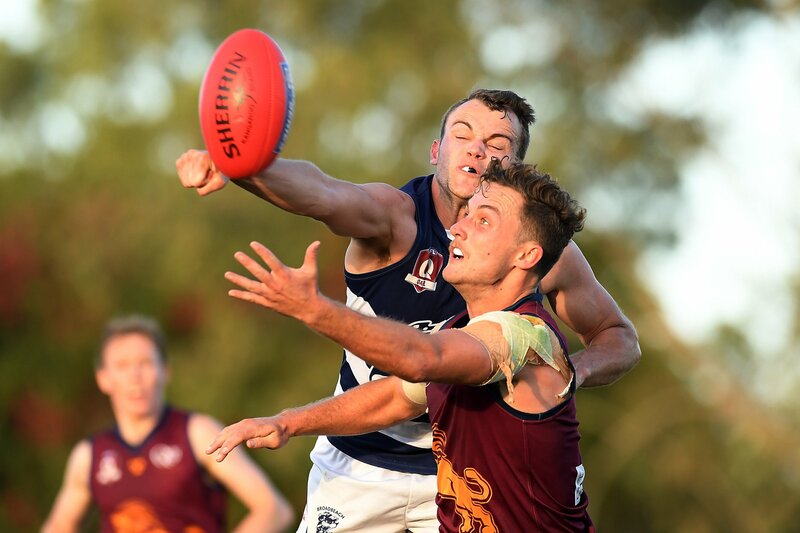 Lead superbly by skipper Jesse Derrick and fellow midfielders Simon Callahan, Jason Burge, Tyler Cornish and Zac Harrison the ball was entering the 50 m zone regularly. 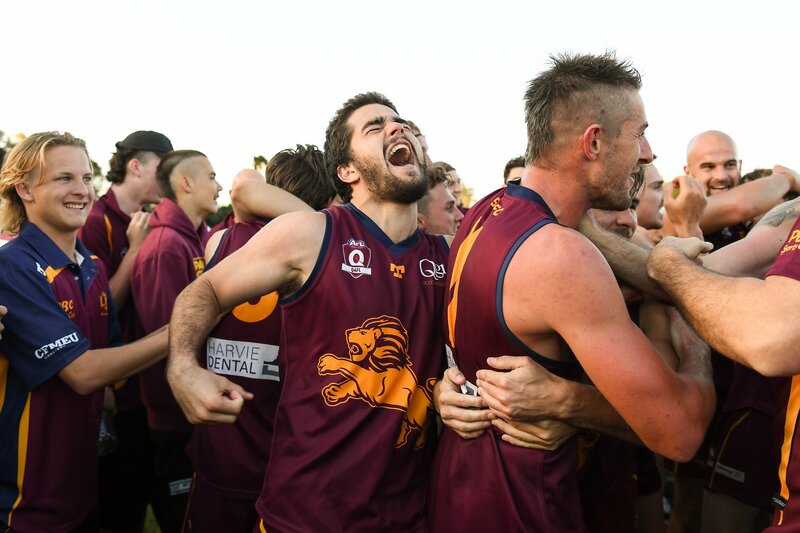 Jarryd Douglas with 7 was well supported by Antony Sercombe and Lachlan Ritchie with little Jake Burrows mopping up at ground level. Jed Harrison did a great job in shutting down a dangerous opponent and the backs worked well together to run the ball out. Big win in perfect conditions for the boys against an undermanned opponent. The first quarter and a half was good, but after discussing the need to play out the whole term at quarter time, we dropped off in a 10 minute period before the half time break. What was most pleasing was the boys response after the break. We got our excitement and enthusiasm back which lifted our intensity, discipline and defensive efforts to the level that’s expected. 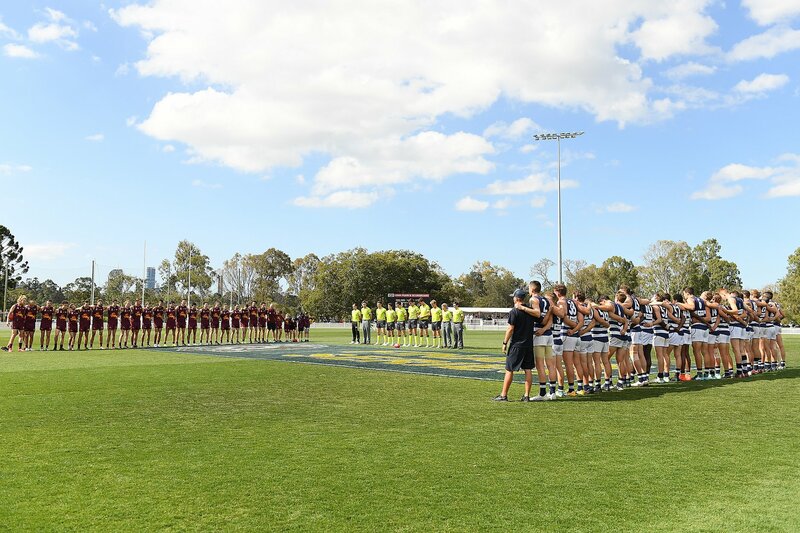 This culminated in us kicking 17 goals in the second half which was a great result and one that the group should draw a lot of confidence from. 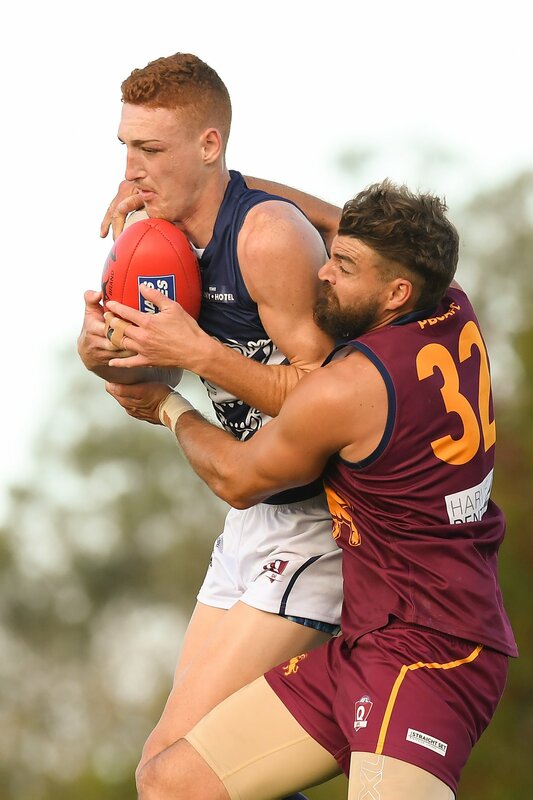 Great debut from Ben Denton and Brock Askey was terrific in his first hit out in returning from injury. 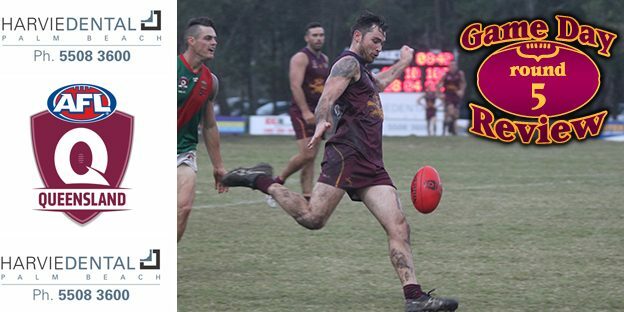 Also big thanks to Cal Whitehead for his efforts in his last game for the club before returning to Victoria. We wish him all the best for the future! Good team effort from the ressies , we now head back up to Brissie to take on in form Wilston Grange next week . Coming of a bye the boys should have been well rested. 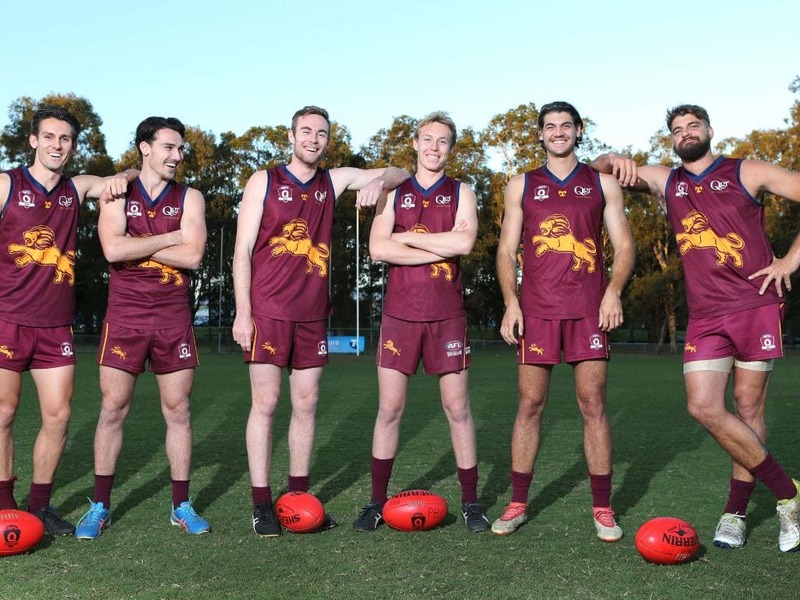 Jeremy Jago made his well-deserved call up to the Reserves along with Lachlan Torpy, Lewis McNally, Patrick Connolly and Jake Burrows have his second hit out with the Seniors. Adding to their loss we had Dean Katsiris being called up to the Suns U17 Academy Squad and Liam O’Brien resting for a Schoolboy’s Championship being played this week. A massive shout out must go to our Junior Club for always being willing to play some of their U16 players up to help us fill in numbers. The first quarter only saw two goals kicked for the entire 20 minutes. Players getting used to the slippery conditions made for a great battle. Riley Engels kicked a goal late in the first to give us a 1 point lead going into the first break. Jimmy Cahill’s legs were taken out from him in an incredible pack mark, which lead to him being carried off on a stretcher. To everyone’s amazement Jimmy was back up on his feet ready to go before the end of that quarter. Courageous effort mate. Second quarter started off with better intensity at the ball. Billy McAllister providing options up forward while Riley Mayne first game in four years after returning from the US on a soccer scholarship show he will be a dangerous force around the ground after a few more games. 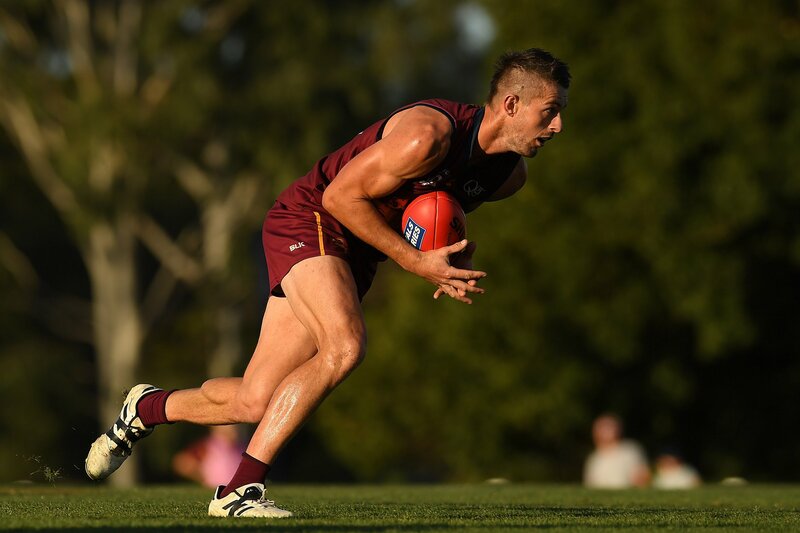 Ryan Suddes ran hard off the half back line giving us a driving force up forward. Tom Woodman play another great half on the wing as we went into the half time break with a lead of 14 points. 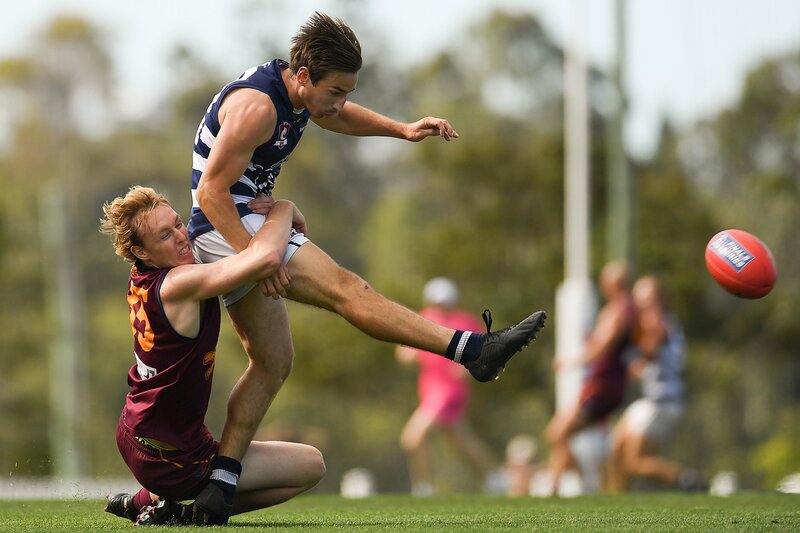 Thirds quarter saw Sandgate determination for the ball and willingness to play for each other, scoring 3 unanswered goals. Our boys looked flat and tired. Defensive running and talk dropped right off, which saw Sandgate go into the ¾ time break 5 points up. 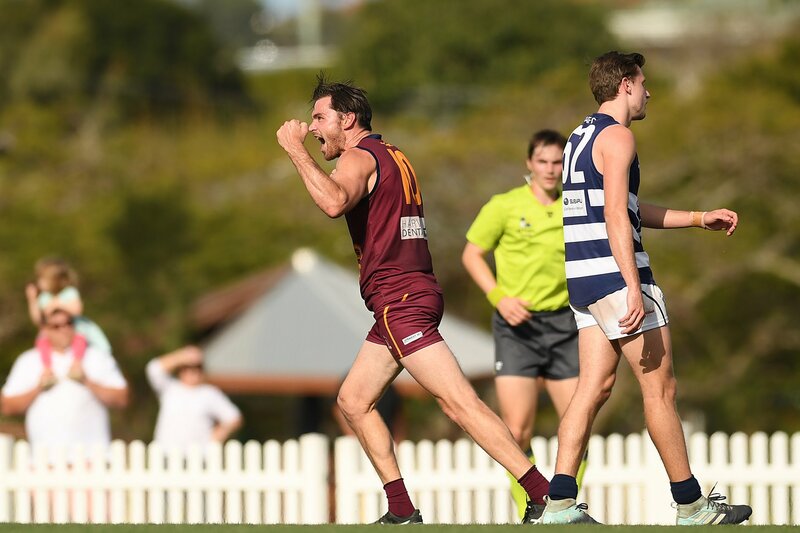 Lachlan Blackmore and Billy McAllister score a goal apiece but with 3 more kicked by Sandgate in the last quarter saw them take their first win for the season. 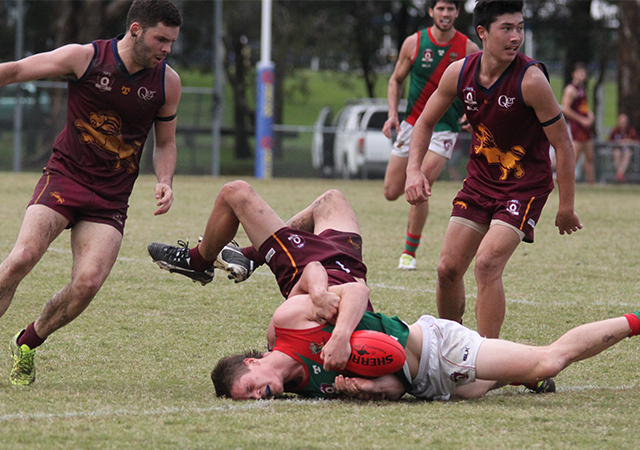 PBC’s Harrison Hulls, on debut, shows some serious intention in this tackle!